PhD Survey on March 17! 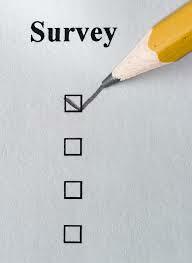 On March 17th, the Leiden University will hold a survey under all employees. New this year is that there will be questions specific for PhD students. We from LEO have worked together with the central administration on the questions. Of course things can only be improved if we know where the problems are, so please fill in the survey. You will get a link to the survey on Tuesday March 17. The survey is of course completely anonymous, and no one from the university will see the answers you fill in. Previous PostCalendar of some PhD courses and workshops! Next PostKeep calm and go Bowling!